Glen Craft Resort offers seven luxurious beach front suites and three cozy cottages, each offering breathtaking views of beautiful Glen Lake. Whether it be relaxing on the beach, sailing and charter fishing on Lake Michigan or the many inland lakes, bicycling, adventure golf, cruising the malls, or elegant dining, you\'re only minutes away from it all! Call, email or fax your reservation or for assistance planning your stay. 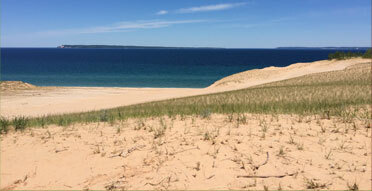 Welcome to legendary Sleeping Bear…to the tranquility of forests, streams, and wilderness lowlands. 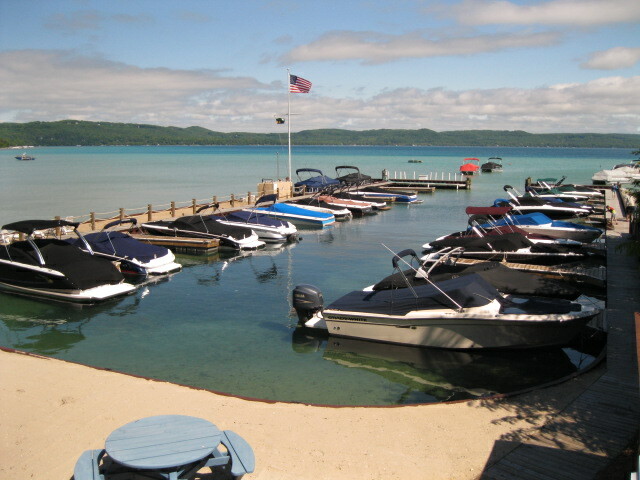 Nestled in the heart of towering glacial dunes is Glen Craft Marina & Resort on Glen Lake. Experience the gorgeous views of beautiful Glen Lake from the luxurious beachfront suites, or the private, Up-North solitude of the rustic cottages…all at the same resort. Seven luxurious beach front suites, each offering breathtaking views of beautiful Glen Lake. One-to-three bedroom accommodations in ranch, or lofted second-story designs. Each suite offers a unique outdoor theme capturing the relaxing feel of “Up North” Michigan.